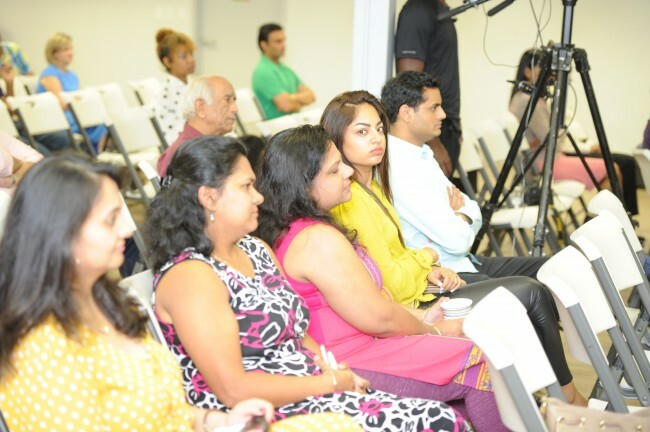 Atlanta, GA, November 9, 2018: The topic for the October 6th Chai & Just Chat session was “Interpersonal Relationships: Cultural Conditioning, Challenging, Conflicting and Cooperating”. This session was held in collaboration with Banyan way. Moderated by Nazeera Dawood, the monthly Chai & Just Chat sessions focus on advocacy, communication, education, and action oriented honest dialogues among professionals, community advocates & experts. The October 6th Chai and Just Chat panelists discussed the impact of cultural heritage on relationships among first and second-generation immigrants. 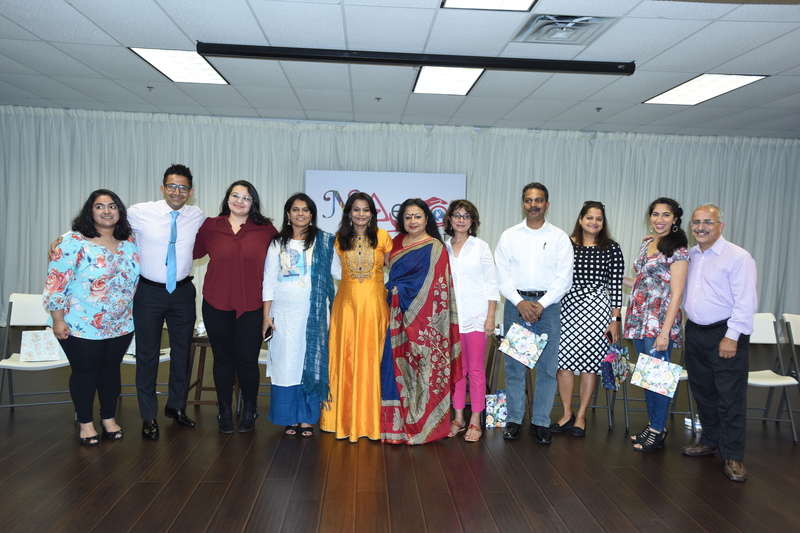 Aparna Baskar of BanyanWay, an organization that helps Indian-Americans find a match for marriage, talked about communication gap between parents and adult children, social media, technology red flags and familial cultural impact on interpersonal relationships. Sensitive and much needed dialogues followed for a couple of hours defining interpersonal relationships, and the ever-changing communication methods using wireless technology. Panelist Archith Seshadri and Neelam Kaushik dived in to the pros and cons of traditional and contemporary methods of matchmaking and the extra layer of research that is needed nowadays to find the truth. There is no single rule to internet dating or meeting people to socialize, they said. Cyberbullying and posting inappropriate videos online without permission and humiliating and blackmailing have become a more than a common occurrence. Online friendships and social media has given rise to fraudulent crimes like catfishing. Esha Ariyur spoke on the importance of parents supporting their young children on their positive contributions, open dialogues to help further alleviate any suspicion and creating a respectful space among each other. “Culture has taught us so much and sometimes we fail to question it as we evolve in new environments,” she said. Panelists defined the ways culture, media, family and friends influence the idea of perfect roommate, marriage partner or a romantic partner. While cultural identity is important, having an individual identity and partners promoting each other’s growth is as important for a healthy trustable relationship. Anitha Iyer clearly articulated the stigma that exists for women who are divorced or separated and the consequences on their respectability, status and honor. Challenging such stereotypes to promote sensitivity and inclusion and focusing on narratives that can abolish male dominance and prevent women subordination is important, she said. While South Asian culture can influence women to stay silent and stay in abusive relationships and not to bring shame upon family, continuing education is needed to improve South Asian girls and women’s safety to build their confidence. For a long time women experiencing domestic violence are often doubly victimized, first by the abuse and then by their community- which is one of the several reasons they do not leave violent homes. Fatmeh Baidoun reiterated that there might not be a universally effective strategy for ending abuse. However, educating our daughters on getting help and to make use of the available resources for women is important. The importance of legislative policies that support women’s safety was also discussed. She encouraged the use of right to vote to bring about change. Counselor expert, Dr. Surinder Bahl explained the reasons why human relationships are challenging and difficult. Though love is the source of happiness and factors such as passion, intimacy, caring, sharing and commitment are bonds to healthy relationships, it is okay for couples to seek therapy for various reasons to strengthen their relationship, he said. Neera Bahl further proved the ways possible to immerse oneself in American culture while preserving our own cultural identity. Justifus Asir said he believes that as long as we are emphasizing the importance of not looking to others for perfect love, and realizing that the source of happiness and wellbeing is within us, we are able to achieve our dreams. Testimonials by participants provided practical solutions to a long, healthy relationships. Madhu Sheth & Neera Bahl elaborated on love being the source of joy and happiness, support and growth of each other. Romance should not die, she said. Sangeeta Rao said failure in relationship does not mean giving up on yourself but to be mature enough to know that respect and love works both ways. Newlyweds Prateek Goel and Khanjan Gandhi talked about respect and trust to make relationships successful — and the key is to not hurt the other by talking about insecurities. Kamini Anand affirmed that compromises and understanding misunderstandings helps a long way in relationships. Viajy Bahl had the last word, the two words that ends well is, “Yes M’am”. Tracy Marshall, a multilingual professional said the Chai and Chat was a great platform to encourage courageous conversations. The October Chai & just Chat session was supported byBanyan Way, the Bahl family and Utsav restaurant.